HERE IS A RARE FIND. 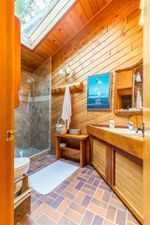 Waterfront home and studio situated on it's own point with over 200 feet of waterfront. Panoramic ocean views from all principle rooms with Western exposure taking full advantage of some of the most incredible sunsets on the Coast. Easy access to a sandy beach area for swimming, launching your kayaks or a space for the young kids to play. Ample windows through out the home allow the natural light to filter in. There is an separate, attached 1 bedroom 1 bath area for guests as well as a detached 510 sq. ft. studio/office. Keep your boat on a mooring buoy right in front of your property. The 10 X 24 carport is idea for winter storage of the boat. 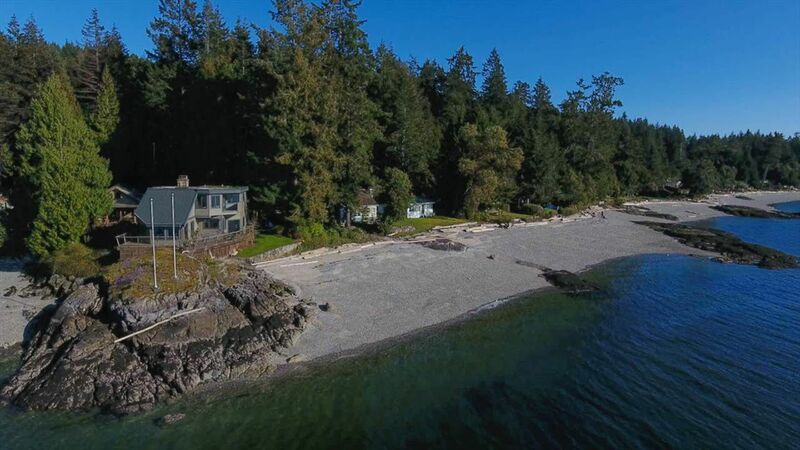 This is truly a unique West Coast waterfront opportunity. Call us for your private tour.